Following the report of the Joint Expert Panel on USS on 13th September, UCUAgenda asked Douglas Chalmers, Chair of the HEC, to give some first impressions on the report. “I welcome the publication of this report. 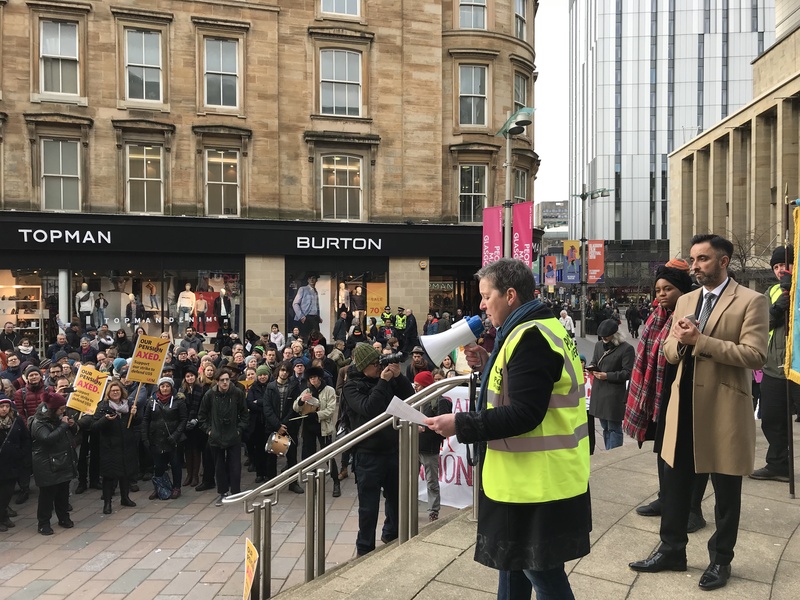 I think two things stand out – firstly it’s a vindication of our members refusal to accept the scrapping of our Defined Benefits Scheme and the shift to DC – now off the table completely as a result of the hard fought campaigns through the 14 days of strike action. Having just returned from the TUC yesterday, where our delegation made some key contributions in debate, I was asked to pass on congratulations of more than one union for the example our members delivered to the whole movement in this campaign. Secondly I think that the fact that the report is unanimous, including the views of both the managements Actuarial firm Aon, and our own First Actuarial, vindicated the fact that there is an alternative to the bankrupt view which USS and the pensions regulator were trying to push onto us all, and which we have now roundly rejected. 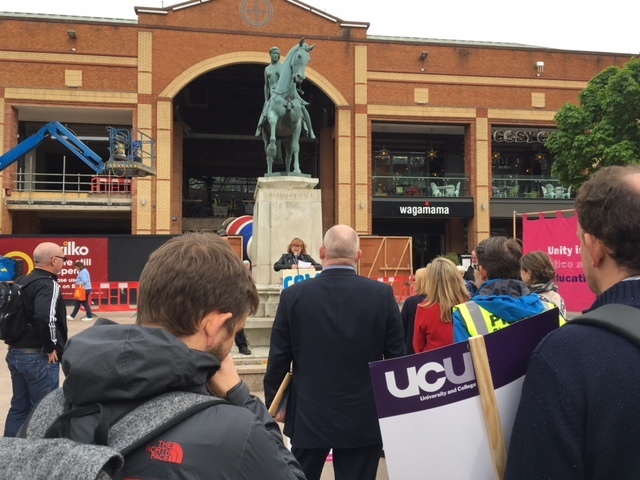 This outlines the unanimous conclusions of the Joint Expert Panel set up by UCU and UUK, the university employers, following endorsement of this approach by 64% of the UCU members in the scheme. A review of the 2017 valuation to date, including an assessment of the methodology, assumptions and process underpinning it; and exploring the scope for possible revisions to the methodology and assumptions to allow the valuation to be completed without invoking cost sharing through rule 76.4-8 of the Scheme Rules. • the current legal and regulatory framework. The JEP itself has had 11 day long meetings between May – Sept, with 11 oral evidence sessions and considered 55 submissions from scheme members and participating employers. this gives the Trustee unique powers through a unilateral right to set contributions (subject to consultation). It is beyond the scope of this report to examine whether this should change, but clearly the process does need to be managed more effectively in terms of interaction with, and gaining the support and confidence of, employers and members. There is no formal mechanism for involving Scheme members in the valuation process or assessing their appetite for risk. This is of great relevance in the USS context given the existence of cost sharing when additional contributions are required. It is beyond the scope of this report to consider how member involvement could be achieved, but this is an unresolved issue for the management of the Scheme. would mean re-assessing the reliance on sponsor covenant. Adopting a greater consistency of approach between the 2014 and 2017 valuations – this would mean changing the approach to deficit recovery contributions. members – this would mean smoothing future service contributions. We have also made recommendations as to revisions to the 2017 approach that would enable the 2017 valuation to be concluded, whilst creating some space for the Trustee and JNC to consider the necessary short and longer term reforms to the Scheme. However, it is clear that there are a number of issues that remain to be resolved. Whilst the JEP has commented on the many elements of the valuation, we have not opined on whether there is a different way of reaching a conclusion that could provide long term stability to the valuation process and have the support and confidence of all parties. The Panel believes this should be a core element of the second phase of its work. valuation, work on Phase 2 should start as soon as possible. However, this work will require a firm foundation and cannot, therefore, be concluded until the 2017 valuation itself is concluded. Whilst a test of self sufficiency and employer reliance is a useful principle for the basis of a valuation, Test 1’s formulation, application and implementation is very rigid with the result that Test 1 has led to a valuation that is model driven rather than model informed. As suggested by other commentators, alternative ways of arriving at a valuation of technical provisions are open to USS and should be explored. Test 1 drives the investment strategy towards a low return investment strategy that results in a higher deficit and higher contributions than would be the case if the current investment strategy were maintained. The Panel believes that the Scheme’s advisers have put forward a clear, reasoned, well evidenced and positive analysis of the sector which provides overwhelming support for the assessment that the covenant is strong. However, it is not clear that the employers’ appetite for risk has been assessed appropriately, particularly in relation to the delicate balance between investment risk, funding levels and contribution levels. USS’s approach to meeting Test 1 implies a de-risking of assets. A number of other paths are open to USS and could be explored. The assumption of gilt yield reversion has become the focus of attention for some critics who believe that USS’s assumptions are too optimistic. However, so long as USS holds a diversified (i.e not ‘de-risked) portfolio, the failure of gilt yields to revert will be accompanied by a change in the expected returns on other assets. The assumption of reversion is by no means as critical as some observers believe. This compares to the current rate of 26% (18% of salary paid by employers 8% by employees), and the rate of 36.6% from April 2020 which is proposed by USS based on the valuation as it stands. How will the union take this forward? The coming weeks and months will give the members of our union the opportunity to decide the next steps in this process of guaranteeing a decent Defined Benefit Pension scheme worth the name. After the ballot – where are we now with our USS dispute? What a fantastic and enthusiastic campaign this has been for our union. We have shown by our sheer determination, organisation and hard work, our ability to force the employers back to the drawing board, and to withdraw their decision to scrap Defined Benefit and impose Defined Contribution on us. Where do we go to from here? Below you will find some thoughts that we hope will be helpful. 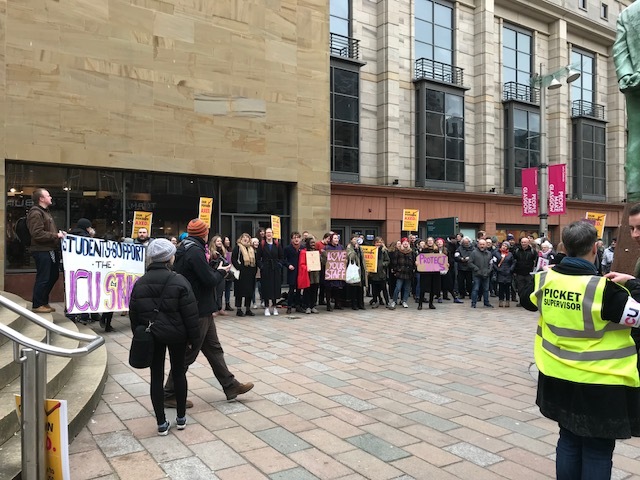 We got to where we are by combining the enthusiasm, commitment, and creativity of thousands of activists with the hard work of UCU staff, the policy framework established by our lead elected committees, the persistent efforts of branch committees, and the seen and unseen work of negotiators. While there has been plenty of friction between the different players ( not surprising in a complex dispute ) it is a fact that all have contributed to getting us to a point so different from where we were when the employers looked like getting away with imposing a DC version of the USS scheme. It’s important to remember that the proposal which a massive majority of members have accepted was shaped by the priorities made very clear by the branch representatives who rejected an earlier set of proposals emerging from ACAS. Rather than seeking to add to or alter those earlier proposals they wanted to focus negotiations on the key objectives of a full review of USS procedures and the defence of a guaranteed pension. Those priorities were taken into negotiations and are embedded in the outcome. Of course the independent review is just the start of the next stage of our struggle for a better USS. In accepting it members have shown not confidence in their employers (which is not great) but in our own ability to keep up the pressure for members’ interests, including future use of the industrial strength which we (and of course the employers ) now know we have. Full involvement in the review will need to matched by unremitting vigilance by our branches, our elected committees and our industrial negotiators. 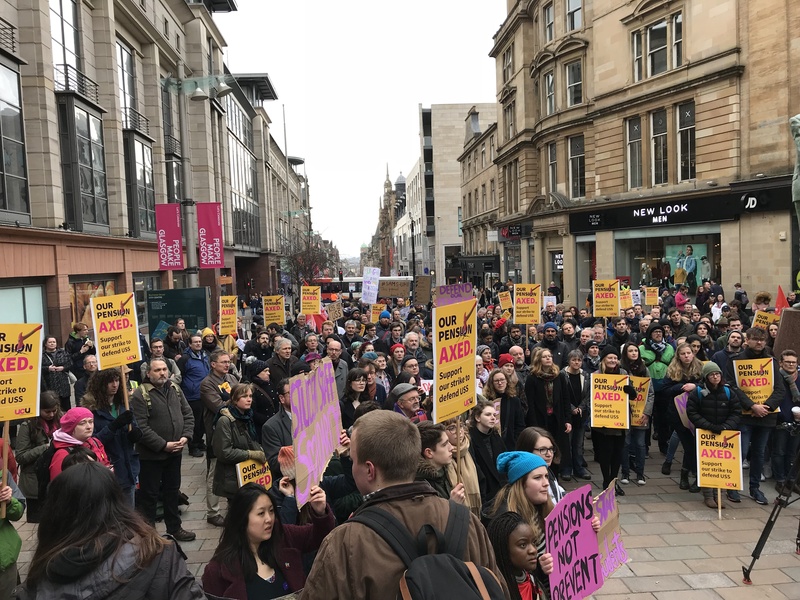 It seems odd and unhelpful that so much of the visible debate about the proposal and the ballot focussed on who said or did what inside UCU, rather than on our dispute with our employers or the interests of members. 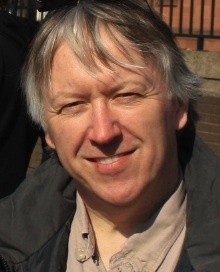 In any dispute the participants will have such concerns but do let’s remember that we launched this dispute for a big industrial reason – to challenge the employers’ outrageous and damaging attack on our pensions scheme which both threatened the size and security of our pensions and also pulled the rug out from under the co-stakeholder structure of USS. 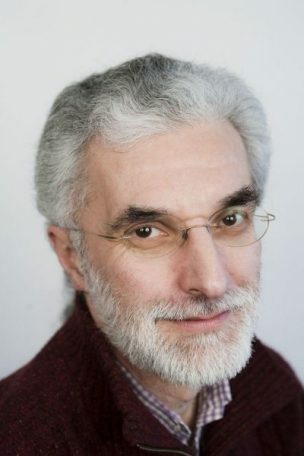 SO – members took action because their wellbeing was threatened but also because this threat was just the latest step in the employers’ wrecking of the collegial and professional respect and co-working which should shape our workplaces, and they did this in the name of managerial authoritarianism and credit ratings. 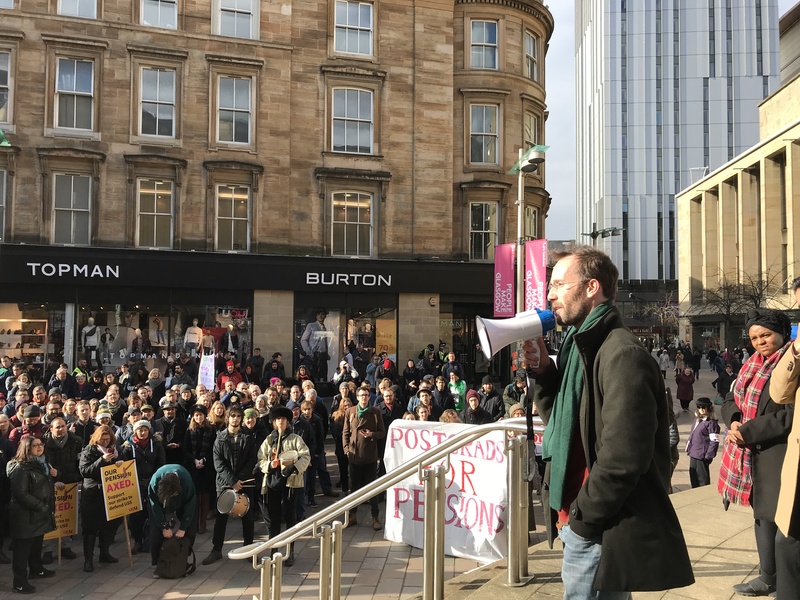 Many activists have said that the attack on their pensions was the last straw on top of a burden of managerialism, disempowerment, precarious wok, and excessive hours. Now they are energised to start organising challenges to this burden in their institutions. Real issues to take up, not internal wrangles and sectarianism. We balloted over 53 thousand members, over 33 thousand of whom voted on the proposal The dispute and the ballot involved members: it was about members. and the outcome allows members to continue to pursue the issues which they have said mattered to them. Together we have achieved something for ALL members in USS whether or not they agreed with every particular view, whether or not they were at rallies as well as striking. 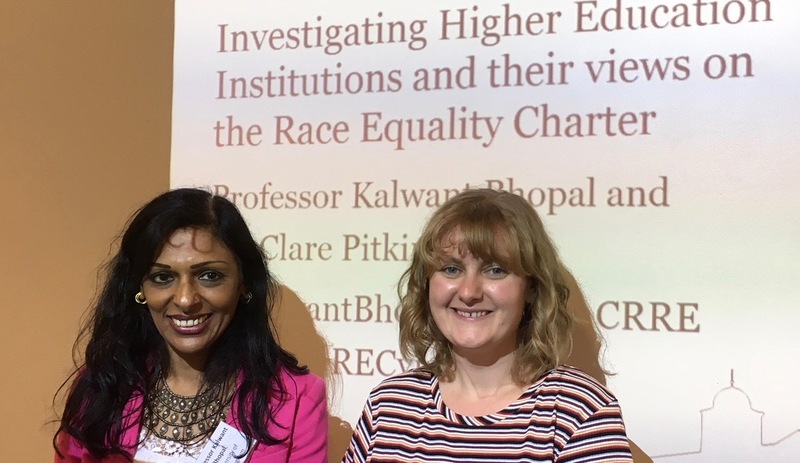 There is a crucial link between these two because activists have used both their power and their responsibility to use their commitment time and energy on behalf of our growing wider membership. Lots to celebrate, lots to digest, lots to get on with. 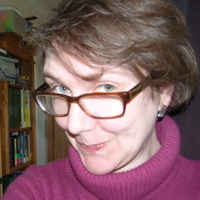 . .
Amanda Williams is a member of the NEC and HEC, and also a member of the UCU’s Superannuation Working Group. I’ve voted yes to accepting the UUK proposal because I think that is the route that is most likely to protect our pension. That doesn’t mean that I trust UUK. It means that I believe that the valuation panel provides the best mechanism for resolving both the current dispute and avoiding future attacks on our pension. 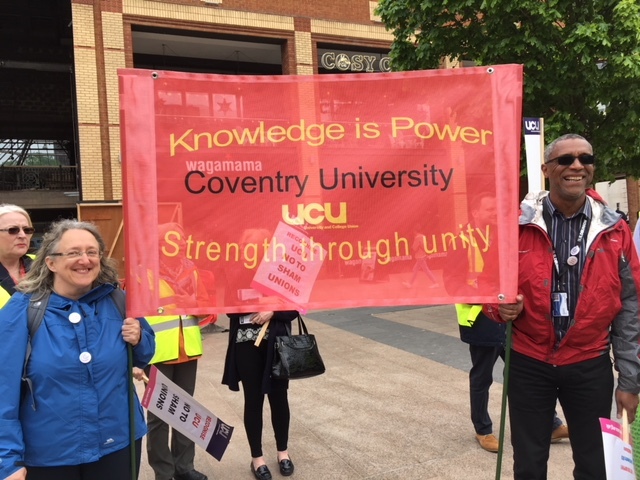 If UUK lets us down I trust my friends and colleagues in UCU to be ready to take effective industrial action in future. The main case against voting yes to the UUK proposal seems to be a lack of trust in UUK and the lack of certainty as to what might happen if the proposal is accepted. It has been claimed that to accept the proposal would be naïve. I am not proposing that we naïvely accept the UUK proposal, I am suggesting that we should vote yes with our eyes wide-open. That is why the notices for further strike action have been issued even while the proposal from UUK has gone out to the wider membership. If we vote no and turn down the proposal we don’t know what will happen next. Different people, with different experience and expertise are reaching different conclusions based on their judgement. If we reject the proposal we don’t know for certain how UUK will react. We also don’t know how USS or tPR (the Pensions Regulator) will react. Those of us who think that the most likely reaction from UUK, USS and tPR will be a hardening rather than a softening of position are making a judgement. If we accept the proposal we still don’t have absolute certainty about what will happen next. However, we do know that the expert panel will need time to convene, look at the valuation and come to conclusions. During this time, of course, industrial action would be suspended. We know that tPR has indicatedits support for a process which allows the stakeholders to come together and avoid recurring disagreements. We know that if we vote yes UUK would have committed itself to make approaches to seek support from USS and tPR for the process of finding a solution. One of the arguments for voting no has been that the UUK proposal contained a commitment to ‘maintenance of the status quo in respect of both contributions into USS and current pension benefits, until at least April 2019’. Those advocating for a no vote say that this statement is there just to look good and therefore is evidence of duplicity. I disagree. If you believe that it adds nothing to the proposal then ignore it as a neutral statement. However, there is nothing in the rules that specifies the date at which implementation takes place. A date of April 2019 for implementation of changes was part of the USS’s project management timeline for the current valuation. Other implementations have been earlier (2011) or later (2014). So, in my view, this commitment adds a level of certainty that was previously absent. Some of the criticism of the proposal concerns the language used within it. Words and phrases like a ‘guaranteed pension’ have caused consternation, the precise meaning of ‘comparable’ has been picked apart and the idea of considering ‘affordability challenges for all parties’ has been held up as unreasonable. If the pension is guaranteed, then by definition it is a Defined Benefit pension. Comparability has been widely interpreted to mean something capable of being compared to something else (for example, a melted, destroyed heater could be compared to a functioning heater), thereby dismissing this commitment as worthless. That is a rather pedantic way of using a word for which the synonyms are ‘similar, close, near, approximate, akin, equivalent, corresponding, commensurate, proportional, proportionate, parallel, analogous, related’ and which can be defined as meaning ‘of equivalent quality’. The 12 March offer, although rejected by UCU, was a better comparator than the full DC offer from 23 January. Both have been rejected, but nonetheless it should be acknowledged that the shift away from full DC and a return to a hybrid structure is a significant victory. And we should remind ourselves that we will be the final arbiters of what is considered sufficiently similar, close or near to our existing pensions. I am somewhat more sympathetic to the points being made about appearing to accept that there are potential ‘affordability challenges’. Discourse around affordability has been used to undermine the position of Defined Benefit schemes as the preferred option of employers as they were in the 1980s. Those discourses are misconceived: evidence can be found that DB schemes, especially large DB schemes, are a cost-effective way of making provision for retirement from both the employee and employer’s perspective. The valuation and the future service cost are bound up with each other, so opening the one up to scrutiny of the valuation panel provides a chance to review the other and refute any claims that future DB accruals are not affordable. Advocates for a no vote have said that ‘we know that the pension scheme is in surplus, we know that it’s got loads of assets’ and ‘there is no risk to this pension scheme’. Well some of that is true and some is not, but none of it is a reason for voting no to accepting the proposal from UUK. It’s fairer to say that we know that the scheme is cash flow positive for the foreseeable future as long as it remains open to DB accruals (I realise that is not as effective a rallying call as ‘the pensions scheme is in surplus’), and it’s true the scheme has a very large total of assets (with a market value of about £60bn according to the March 2017 audited accounts). Still, I would take issue with the statement that there is no risk to this pension scheme — if it’s not taking risks it won’t be earning returns! But what we need now is time for the Joint Expert Panel to pick apart the valuation, examine the strengths inherent in the scheme, such as its scale, the strength of the employers’ covenant, the robustness of a multi-employer scheme, the fact that it is asset-rich, and the healthy returns that the investments have made historically. All that information can be used to craft a new, better proposal for this valuation cycle. As an aside, the scale of the scheme has apparently been one of the main concerns of tPR, but the recently published government white paper on pensions, ‘Protecting Defined Benefit Pension Schemes’, proposes to put in place mechanisms to consolidate smaller schemes because of the significant advantages associated with the largest schemes. USS is the largest private DB scheme in the country. I am optimistic that the valuation panel will start a process that allows the 2017 valuation to be revisited in such a way that a satisfactory resolution can be found. But I am not naïve. We have demonstrated that we can carry out effective industrial action. The credible threat of industrial action remains as a reminder to UUK to take the commitments it has made seriously. If we judge it has reneged on its commitment ‘to maintaining a meaningful defined benefit (DB) pension offer at this valuation’ we know we can muster on the picket lines again. More importantly, UUK now knows that too. If we are looking for absolute certainty before we accept any proposals or suspend any action I think we will be waiting for ever and never be in a position to resolve this dispute, which in my view will then peter out without having crystallised the significant gains that have been made. I have voted yes, not because I am daunted by more strike action — I’m not. If need be I’ll be there fighting for UCU’s interests, on the picket lines, as I have been in every dispute since I joined UCU. I have voted yes because I think that the most likely route to a getting a good pension deal currently lies through accepting UUK’s proposal.